Carter Horne + Trey Rose (of NBC'S The Voice) & Friends - Venkman's | 740 Ralph McGill Blvd. 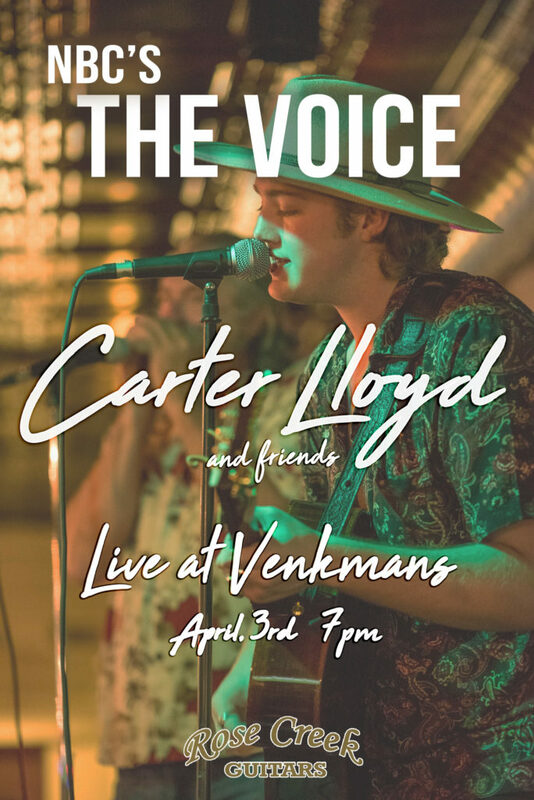 NBC’s The Voice’s very own Carter Lloyd Horne #TeamBlake will be taking on Venkman’s alongside The Voice’s Trey Rose #TeamAdam, and John Patrick. It is going to be a night full of energy and great music. All artists will be performing some unreleased originals meaning you all will be the first to ever hear these songs performed live! With this said, we have limited seating as we want to create a more intimate experience. Tickets are on sale NOW so make sure to get yours before they sell out!